The Maxi Cosi Nova is the newest addition to the Maxi Cosi pushchair range and is deemed to be their most luxurious travel system yet, we have seen it a couple of times to date however, today is the day that the brand-new Maxi Cosi Nova is hitting our shop floor so we thought what better time to take a look at this pushchair and give you our first thoughts. Out of the box, the Nova is easy to put together with just the wheels and the basket to attach whilst everything else is already ‘built’, ready to slot together. One immediate thing I notice is the size of the wheels, the back wheels seem to be quite standard in size however the front wheels are bigger than we see on most travel systems which could mean we will see some great suspension from the Nova which is always a plus! 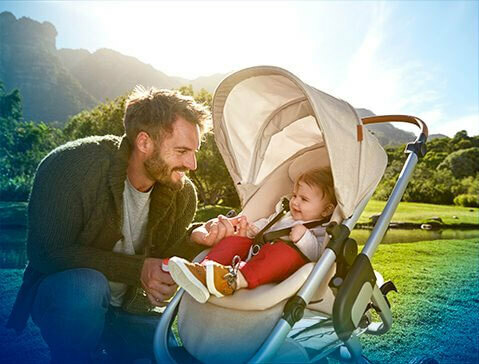 The Nova pushchair seat unit is only suitable from 6 months+ however with the addition of the Oria Carrycot, the pushchair can safely be used from birth and the carrycot is super snug for your newborn. The leather look detailing that is on the carrycot, aswell as the handle and bumper bar, adds a touch of luxe to the Nova which, I really love and the mesh window in the carrycot hood is great for extra ventilation in the summer months. 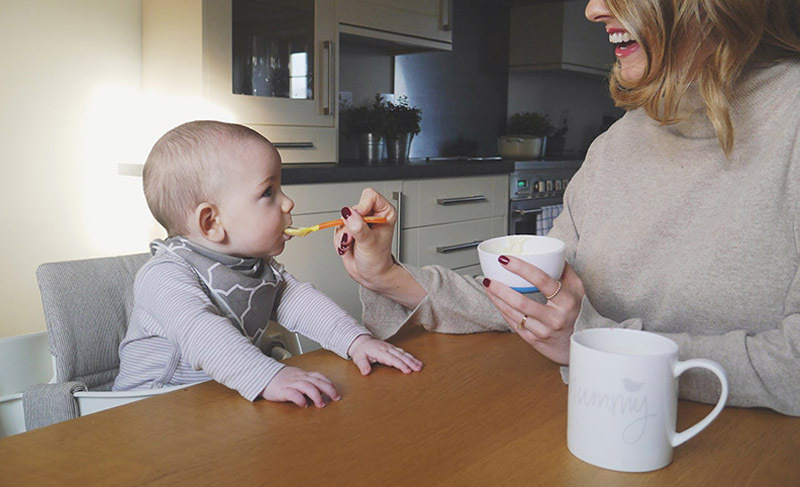 The seat unit for the Nova can be used from around 6 months and has the ability to forward face or parent face which is great for when your little one is still really small. The size of the seat is good and the padded seat unit seems like it would be really comfortable thanks to the liner. 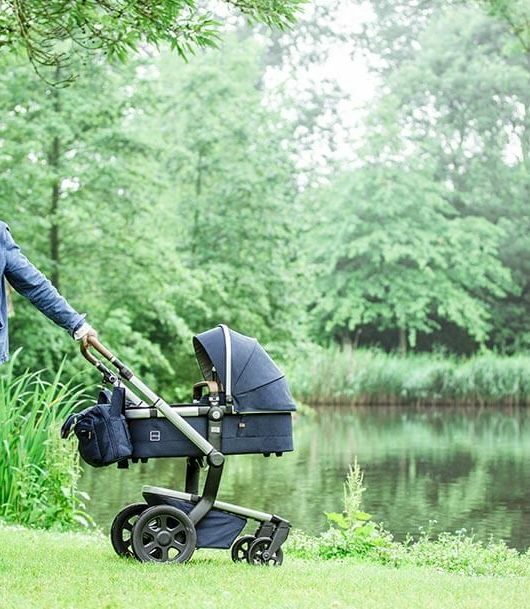 The recline has 4 different positions making it perfect for afternoon snoozing and I love that the colour of the bumper bar co-ordiantes with the pushchair – Nomad Blue is a personal fave! 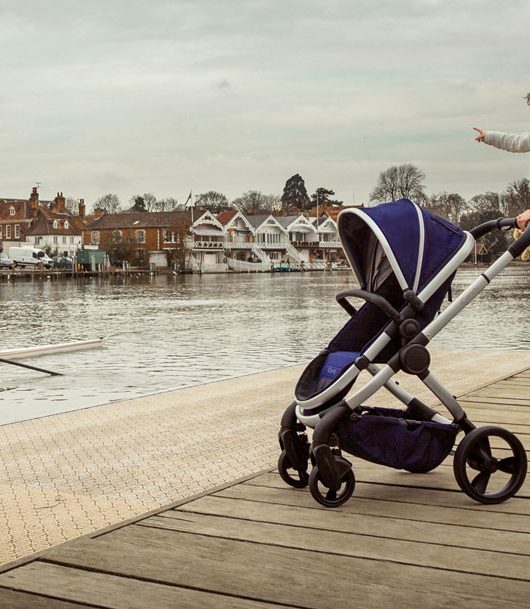 The fold of the Nova is particularly impressive and after pressing a pedal with your foot, the nova folds with ease and locks into position for transportation. Getting the chassis back up can be done by removing the locking catch and lifting the handle, before you know it, the Nova is back up and ready to go. 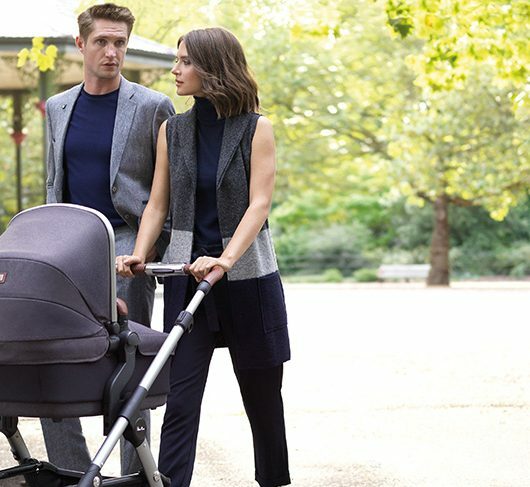 The Nova can be turned into a full travel system and allows you to put a car seat on the chassis too, this is great for shorter trips when you’re just nipping somewhere and means youi don’t have to disturb a sleeping baby! The Nova is available in 3 beautiful colours, Nomad Blue, Nomad Sand and Black Raven so you are sure to find a colour that suits your style!